Merry Christmas To All Stamp Set from Stampin' Up! It been pretty gray in Houston the past few days, and I needed some color to brighten my day. This simple card uses the Swirls and Curls Embossing Folder as a background. Its spritzed with Frost White Shimmer Paint mixed with 70% Isopropyl Alcohol, which doesn't begin to show in the photos. However, the finish on this card makes my eyes happy! The basecard is Coastal Cabana cardstock. The next layer is Coastal Cabana dry embossed with the Swirls & Curls Embossing Folder. The sentiment is stamped on a die cut made with the middle size Stitched Season Framelits Dies, a limited edition set of dies that I love. As a side note, when Stampin' Up! offers limited edition stamp and die sets, I highly recommend you pick up these sets when they are offered to avoid buyers regret after they are no longer available. I'm finding so many uses for these Stitched Season Framelits. 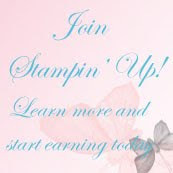 In November, Stampin' Up! will offer another limited edition set. Mine is on the way and I'll share sneak peeks as soon as they arrive. The sentiment is from the Merry Christmas to All stamp set stamped in Night of Navy. The snowflakes are from the Blizzard Thinlit Dies, a single die that cuts multiple snowflakes in different sizes and shapes in one pass through the Big Shot. I backed my Whisper White paper with Multipurpose Adhesive Sheets before I cut the snowflakes. Then, I just removed the backing and stuck the snowflakes where I wanted them. The holes in each end of the sentiment label was punched with the Detailed Trio Punch. I threaded the 3/8" Silver Metallic-Edged ribbon through to the back side of the sentiment label and tied a bow. I also added a couple of clear Rhinestone Basic Jewels, which added to the glimmer on the card front. Kudos to Leena Girsa for her inspiration for this card. To see more Holiday stamps, check out the Stampin' Up! Holiday Catalog. Order your holiday stamp set and dies soon, so you'll have them in plenty of time to create your hand made holiday cards. Or join one of my classes listed below to get a jump start on your holiday projects. 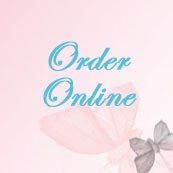 To order items used on today's, click on one of the product photos below, or go directly to my Stampin' Up! store. 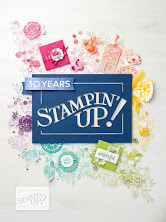 To celebrate World Card Day, Stampin' Up! is offering 10% off on these select products. Pick up a card kit. Stock up on Dimensionals or Tear and Tape. Or try a fun new stamp set at a discount. Then join one of my classes listed below to have some fun. Check out the savings, and click items below to see more details about a product that's part of this sale..
Well, technically, World Card Day ends October 7, but I figured we already plan to celebrate World Card Day all week, so one more day wouldn't hurt!